Water has always been and always will be a precious commodity. It is for that reason that medieval castles were always built close to a good water supply. As our medieval castle blog reported in a post earlier this month, there are even medieval castles with their own little harbour such as Threave Castle in Scotland. 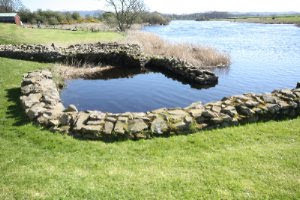 Occasionally, when visiting a medieval castle you might be lucky enough to come across the remains of a medieval well. Here is one we found in the garden of a medieval abbey in France at Nieul-Sur-L'Autise. 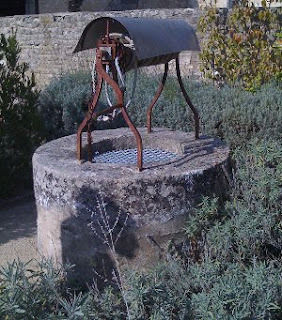 The medieval garden at Bazoges-en-Pareds also has a wonderful, stone-built well ... but more of that another day! One of the most fascinating aspects of medieval castle life is what people ate and drank. Life was very different then to now and most people today have simply no idea what it took to source and prepare a daily meal. The castle owners, of course, had plenty of servants to rely on but to help them have access to a wide variety of food, they often had a medieval garden within the castle grounds. Medieval gardens were usually a mixture of vegetables, herbs and flowers with the majority being used in cooking but some, particularly the herbs, being used for medicinal purposes. 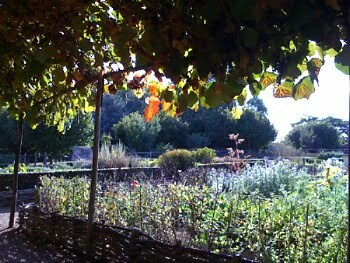 Here is a photograph of a medieval garden in France which we visited recently. It is set within the grounds of a medieval castle - a medieval donjon in fact. Walking in the shade under a canopy of vines, the air was filled with the sweet aroma of medieval herbs .... rosemary, hissup, purslane and mace .... simply wonderful! On the way back from visiting Threave Castle in Scotland last year, we came across the most wonderful abbey ruins - Sweetheart Abbey. 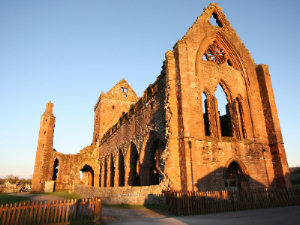 Founded in 1275, the Abbey has a fascinating history. Although there are only ruins to see today, it feels a very special place. When we visited we were lucky to arrive just as the sun was setting. The Abbey ruins glowed in the sunlight with the stone taking on a luminescent glow. 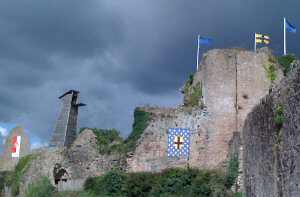 This is one of the photographs that we took which I just had to share with our castle blog readers. Medieval Abbeys are a vast subject in themselves and one we hope to cover more in future posts.